Mokau River. Oil painting. Large ornate wooden frame. River scene with hills, trees and flax and two birds flying in foreground. Signed and titled in lower left corner. 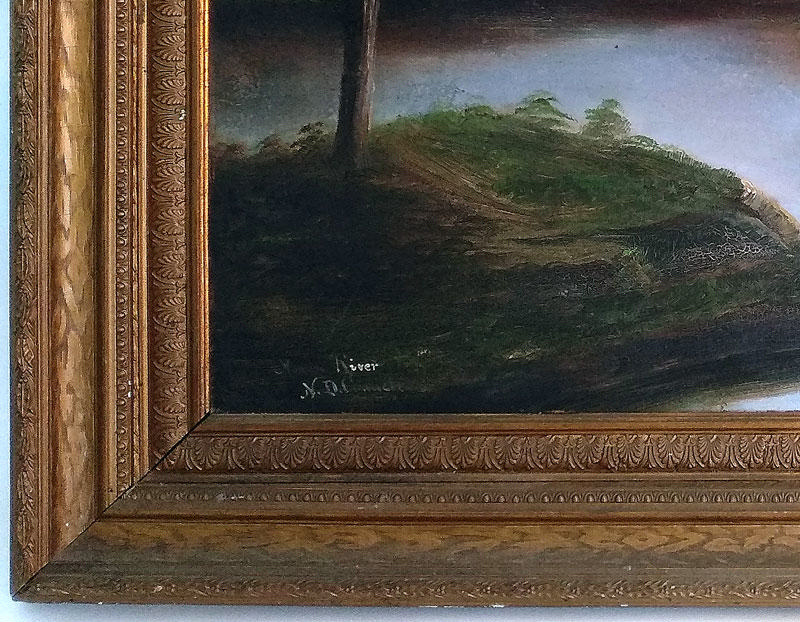 On the reverse of the painting: "Connell & Garlick. / Eltham School of Arts / AND / Photographic Studio / Enlargements in black and white, water / colour and oils. 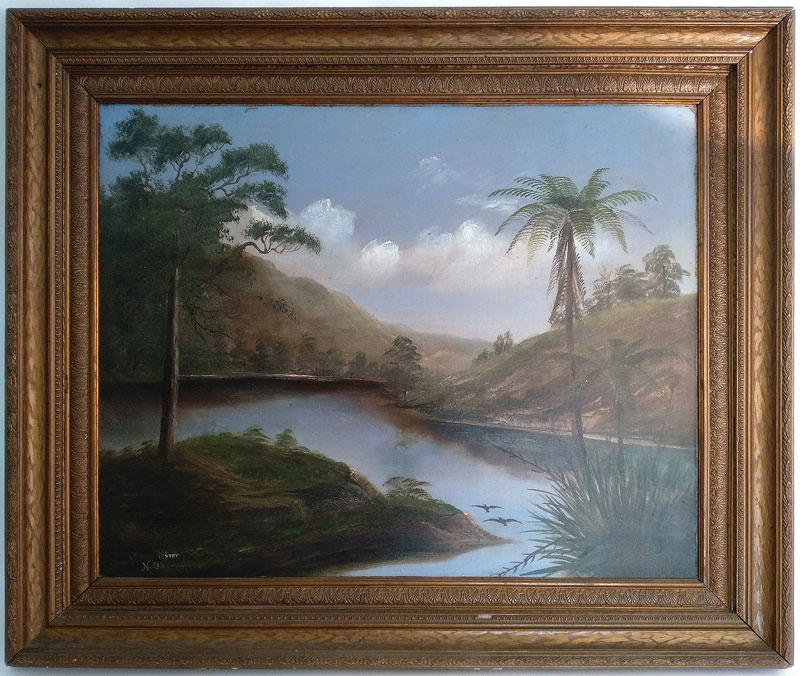 Also a / SPLENDID ASSORTMENT OF OIL PAINTINGS OF NEW / ZEALAND SCENERY ALL WORK GUARANTEED UP ?